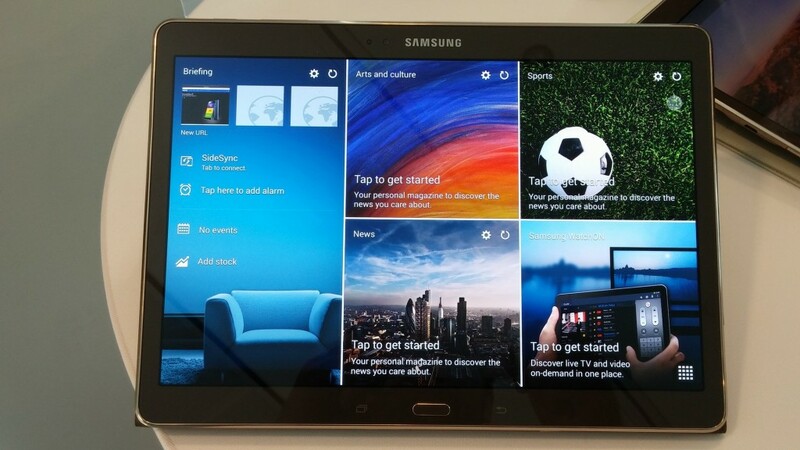 Samsung working on a new Android based tablet with a huge 18-4 inch display. The new tablet SM-T670, which is codenamed ‘Tahoe’, is an 18.4-inch TFT LCD screen with a resolution of 1920 x 1080 pixels display with an octa-core 64-bit 1.6GHz Exynos 7580 processor, 2GB RAM, 32GB internal storage with a microSD card slot, which can supporting up to 128GB cards, and a 5,700 mAh battery. At launch it will running on Android 5.1 Lollipop. As other tablets it will also come with an 8-megapixel primary camera and a 2.1-megapixel secondary camera. The dimension of this tablet is 451.8 mm wide, 275.8 mm tall, and 11.9 mm thick. This new tablet is meant to use in living rooms, offices, or schools for media consumption and web surfing.